If you are an NBA fan, this year’s NBA playoffs (the first round) have been unlike any other year. Prior to this year’s playoffs, there were 14 seven-game series in the first round in the last 11 years. Five of the first-round series this year will go to a deciding seventh game. Dating back to 2003 when the NBA went to seven-game series in the first round, the most first-round series in a season that went to a deciding seventh game were two (it happened in four different post seasons). 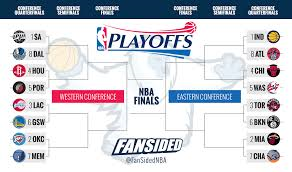 As mentioned above, the NBA went to a seven-game format in the first round of its playoffs beginning in 2003. Here’s a look at some stats from first-round series since 2003. * In the 96 first-round series from 2003-14, 54.2 percent have gone to either six or seven games. The six games that went to at least a sixth game this year ties last year’s mark. The most first-round series to go six or seven games since 2003 was seven back in 2003, the first year of the new format. * Nineteen of the 96 first-round series (19.8 percent) since 2003 have now gone the full seven games. The five this year tops the previous best of two first-round series going to a seventh game (2003, 2005, 2009 and 2012). * Of the previous 14 teams that won a seven-game series in the first round since 2003, only five won their next series. No team that won a seven-game series in the first round of the NBA playoffs has won their next series since 2008. * Of the 19 first-round series that have now gone seven games, the #4-#5 seed match-up and the #3-#6 seed match-up have each happened six times. the #2-#7 seed match-up has gone to seven games three times since 2003, the #1-#8 seed match-up has gone to a seventh game four times. * Of the 11 eventual NBA champions since 2003, only one (the 2008 Boston Celtics) went to a deciding seventh game in the first round in the year they won the title. The Miami Heat last year became the first team since the new format in 2003 to sweep their first-round series and win the title that year. Five NBA champs in the last 11 years won their first-round series in five games, four won their first-round series in six games. * Miami’s four-game sweep of Charlotte this year extends the streak of at least one first-round series going only four games. There have now been 18 first-round sweeps in the NBA playoffs since 2003. Of the previous 17 (those prior to Miami’s sweep this year), 13 also won their next series. Of the 17 teams that won their first-round series in four games, six advanced to the NBA Finals that year. Of the six, only Miami last year won the title that season.